Do you find yourself paralyzed in front of people who are different from you? Are you worried that if you say or do the wrong thing you’ll offend someone, or worse, find yourself at the centre of a lawsuit? You’re not alone. In the past ten years, the workforce has changed dramatically. 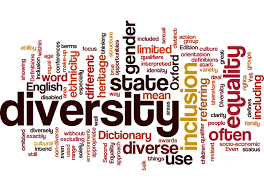 More than ever, a workplace is a diverse collection of individuals proud of who they are: their gender, their sexual orientation, their religion, their ethnic background, and all the other components that make an individual unique. The challenge becomes: how can we make these diverse individuals work as a team? We all know what happens to organizations that don’t have effective teamwork: they fail. Failing to embracing diversity can also have serious legal costs for corporations. In this one-day workshop, you’ll learn how you as an individual can celebrate diversity, and how you can help your workplace become a more diverse environment.